For 93 years, Quill and Scroll has been honoring the best work done by student journalists around the world. We provide students and their advisers with resources to do great work and to have it evaluated. 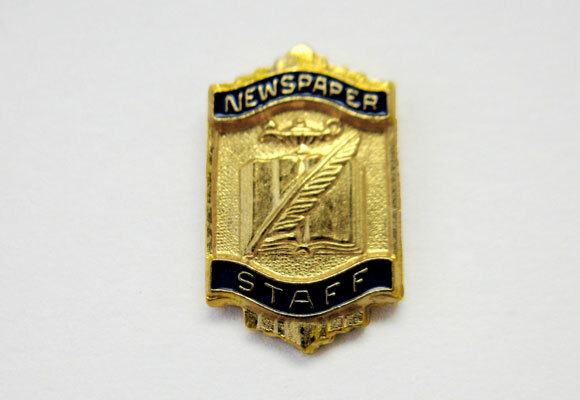 Whether it’s through our stories, our contests, our evaluation service, our scholarships or our pins and graduation paraphernalia, we salute great scholastic journalism at our charter schools. Start or renew your charter today. We’re having a sale on the Quill and Scroll Stylebook!! $3/book. That’s an entire class set for $75! Buy here, when you nominate students for membership. 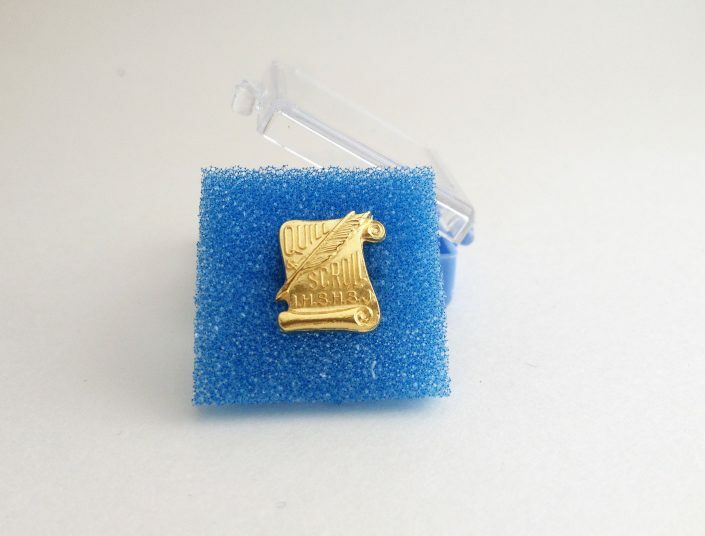 The local chapter is at the heart of Quill and Scroll. The member belongs to an international organization. 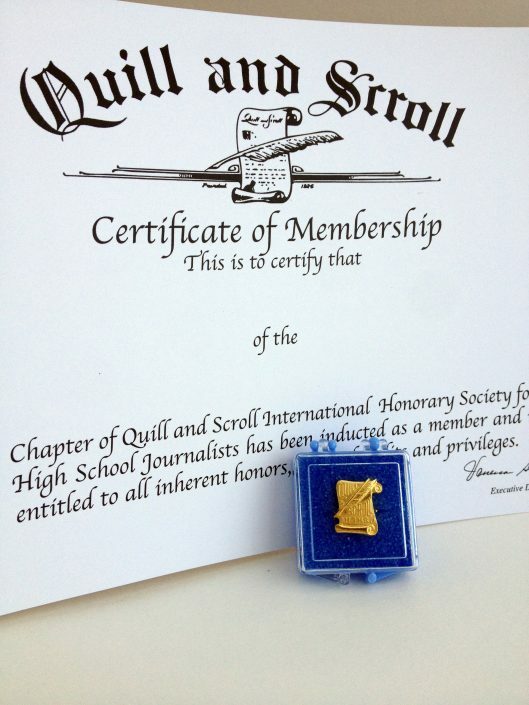 Membership widens a student’s horizon, increases journalistic perspective and gives the prestige of membership in an honorary scholastic society. Download the Chapter Manual here. 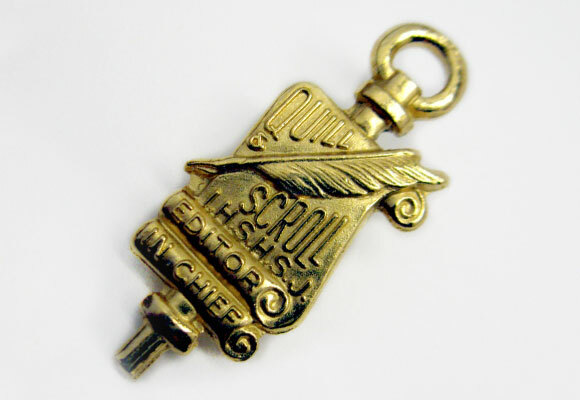 Quill and Scroll provides a variety of scholarship opportunities for students and advisers. Student scholarships, with one exception, are available to only those students from Q&S local chapters, as is the adviser scholarship. Dozens of schools from around the world participate in our annual Yearbook Excellence Contest; our Writing, Photo and Multimedia contest; as well as our News Media Evaluation service. If you want to see how you work stacks up against the best in the world, enter a Q&S contest or critique. From the Weekly Scroll roundup of the week’s most important news; the Digital Quill, which is penned by a professional journalist; to stories of interest to scholastic journalists to question-and-answer pieces with professional journalists, Quill and Scroll’s news service keeps you updated on the latest trends in journalism and journalism education. 2018 Quill and Scroll Stylebook is ready! Our membership materials support your students and provide a chance for you to honor their best work. The 50th anniversary Quill and Scroll Stylebook (the first was published in 1968) is available for just $3 each. It’s a 34-compendium of all you need to know about journalistic and Associated Press style, tailored for high school news organizations. It has an updated section on gender, sexuality and pronouns. You can use the April 2019 QS Order Form (it’s on page 4) to get one for every student journalist in school. 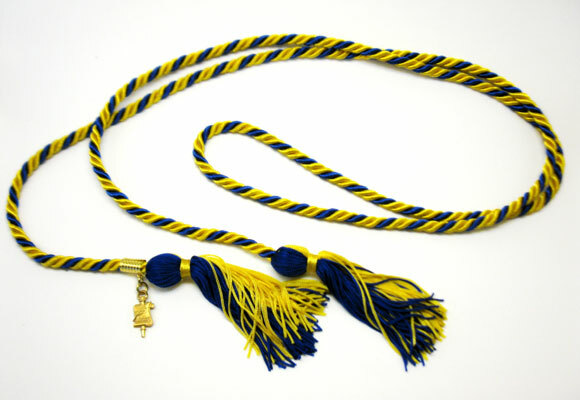 We also offer regalia for all members — pins, graduation cords, charms, t-shirts, awards — for a variety of contributors to your student media. And we can help you produce better journalism. We also have a series of books and publications that can help you become a better teacher, your students write and report better, and even for your principal to better understand the law regarding student press rights. Download the order form to purchase both member and non-member awards. Click on the images above for an enlarged view of items. Not only is it great to receive the pins and the cord for graduation, I really enjoy being around a group of journalists who are just as passionate about what they do as I am. The projects that we create through the Quill and Scroll chapter at my school have done a great job of helping people around the community. Being a Quill and Scroll member has many benefits. You get to know other student journalists, and you get recognized for all of the work that goes into working on a student-run publication. I was inducted into Q&S in 1968, and later advised for 30 years. My favorite moment was always the candlelight ceremony and lighting the Candle of Truth. Students would giggle a bit… how hokey, right? But as they stood before proud parents, and repeated the vows, there was something real there. Proudest moment of my high school career: Nominated and accepted into Quill & Scroll at Triadelphia High School, Wheeling W.V., 1956. It is nice to have a place for members of our journalism program to have a place together to pursue more specific journalism-related endeavors. 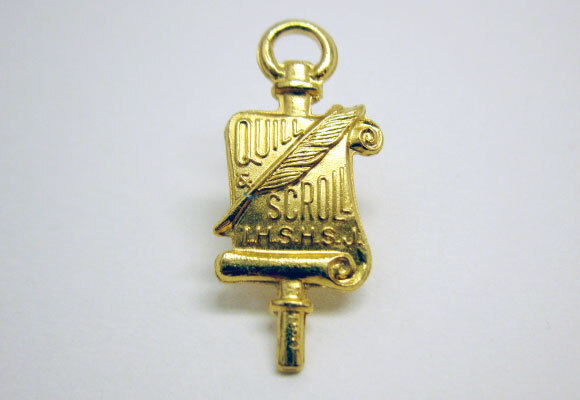 I was inducted in Quill and Scroll in 1960. I was feature editor of our school newspaper and editor-in-chief of our literary magazine. I remember the ceremony and the pride of my journalism teacher and adviser who happened to be my mother’s sister! I still have my pin as a charm on my charm bracelet. In those days it was solid gold! What I enjoy about Quill and Scroll is the opportunities it has given me. It has joined me with a group of people I would have never been friends with before. When I was inducted in 1994, I was proud to know my mom had been a member in her high school days before me. As an adviser now, inducting my own students for the past 18 years, I watch them take pride knowing the rich tradition and what it means to do such important work in the interests of truth, service and integrity. 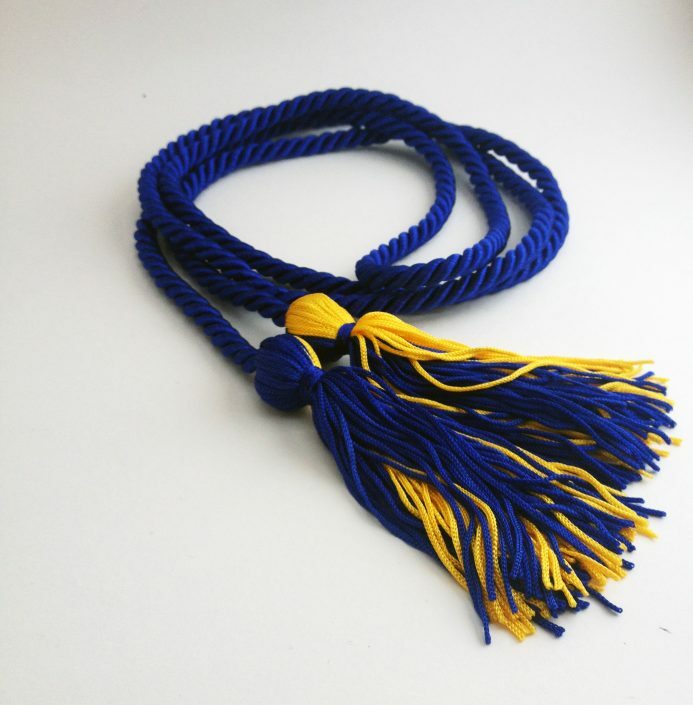 They get asked about their Q&S cord at graduation, and I love watching them explain what it means and how they earned it. This is my second year as a Quill and Scroll member and the President Elect of our chapter. It has been an honor to be a part of this society.